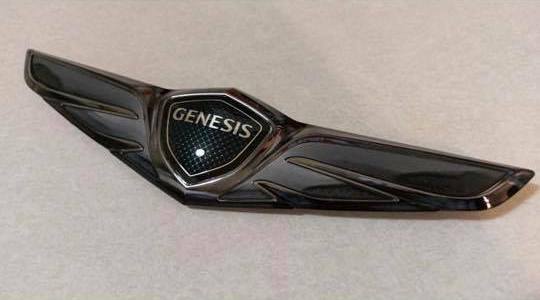 Genuine Hyundai Mobis KDM front & rear emblems for the 2015 and newer Genesis Sedan - customized by professionally coating the emblem either in matte black, glossy black or sprayed to match the OEM bodycolor paint on your car. If you choose the OEM bodycolor option, please note your car's paint code during checkout. PLEASE NOTE this is a custom item and can not be returned or exchanged.